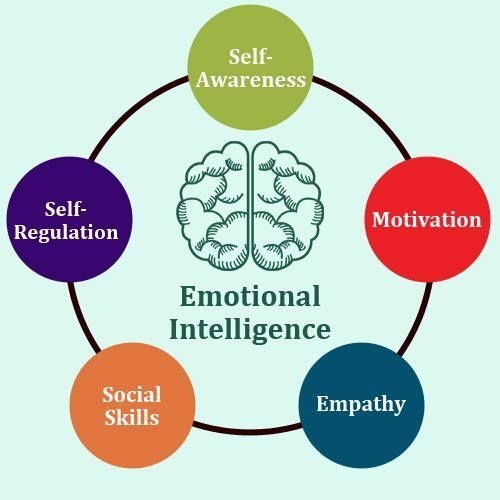 Emotional Intelligence (EI). What does it mean? It means the ability to manage the tides of life, the ups and downs, and to make choices from a place of wisdom and equanimity. To do so requires awareness of self, including moment-to-moment emotions and personal, habitual reactions to situations. Awareness of others is also vital – how to read intention and mood and determine timing. Resilience, optimism, empathy, agency, self-perception, and social cognition…these are but a few of the emotional traits underpinning perseverance and motivation, the foundations of EI. And they are skills that can be taught and bettered. In every class I teach, EI is a part of the curriculum. Students are required to practice tools for managing stress and learning the difference between reacting and responding, and how to do the latter. At the end of the semester, several students always share how this one skill positively changed their lives, and even helped their grades. We need to teach the emotional skills our students need to survive boarding school. And not just school, life. Academic and technical knowledge might get them in the door of whatever college or job they wish to pursue, but it’s going to take something more for them to succeed once they’re there. In college, and later during their career, our students, at some point, are going to need to deal with other people, and their own doubts, fears, ambitions, and choices. Our children will need inner skills to stand out: agency to get their ideas heard, empathy to lead, resilience to accept criticism and inevitable failure, and optimism to roll with the punches and choose their steps well. Not to mention, academic skills do very little for personal relationships, but emotional and social ones are essential. If we want our schools, communities, countries, and families to be healthy, we need to address our students as the whole people they are. When we start talking emotions and personal lives, we think it means we’re getting in too deep and taking on too much responsibility for someone else’s life, their decisions and where those lead. Plus, it requires us to become aware of our own EI and its holes, and that can be scary. Better to claim it costs too much, is too soft, or isn’t the role of schools or workplaces. It’s easy to give the job over to elementary schools, or claim it’s the work of parents, and yes, both are ideal places to begin. But we have to get real. Not every child grows up in a home where these skills are mentored or modeled. Not every primary school has bought in, though the trend is growing. Therefore, we must accept the challenge of equipping our students…or we accept that we’re more willing to lose the money, productivity, seats in the classroom, and the incredible potential of so many, that are the cost of our unwillingness. Stress (and subsequent EI) is a hub with many spokes, including physical illness, depression, anxiety, substance abuse, crime, and a plethora of poor decisions. EI and stress are the roots of the “bottom line” problem. What do we do? We get real. We train our teachers and managers. Design programs that infuse our curricula with standards for wholeness, wellness, and real success. We fess up to the fact that as human beings we are in this together. Our students – our children – are not simply meant to feed our “bottom line,” fill our seats, and pay our wages. They are our future – the whole of them. Minds, bodies, and hearts. Their stories – the way they see the world, what they believe of themselves, each other, and us – will write our future. Better we invest in helping them write something of substance.